The Prestone MSA British Rally Championship races across the Irish Sea for the penultimate event of the series with the legendary Ulster Rally the next stop on the action-packed calendar. The championship’s only visit to Northern Ireland in 2017 will see Britain’s premier rallying series tackle the two-day, closed road Tarmac event on the tomorrow and saturday. The British Rally Championship returns to Derry/Londonderry for the 2017 Ulster Rally – round six of the exciting rallying series. Not only is the BRC reaching its end of season crescendo, but also the British crews will go toe-to-toe with the best from the Irish Tarmac Championship – providing an added challenge in the quest for overall victory. The Ulster Rally will get underway with a Ceremonial Start in the heart of the Walled City, with crews being waved off into the 135-mile event under the shadow of the Guildhall on Friday lunchtime. In between the stages, competitors will visit the rally Service Park at Ebrington Square several times throughout the event allowing engineers and mechanics to work on the state-of-the-art rally cars and repairing any damage experienced on the challenging route. 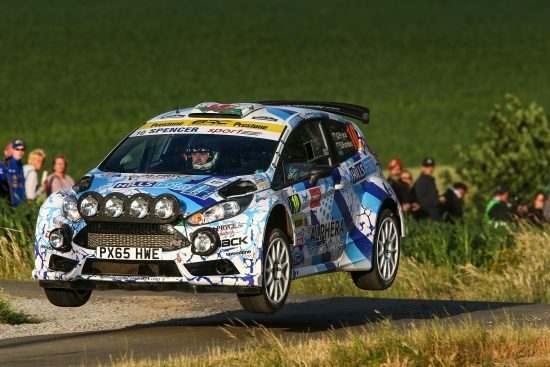 The BRC competitors will contest 14 timed stages through the bumpy narrow lanes, with competitive speeds at times north of 100mph – the classic event offers a real test to the country’s top rally drivers. Throw in the extra difficulty of changeable Irish weather conditions and stages are there to be tamed by the brave and equally ready to claim the unwary. For those successful enough to make it to the end of the event on the podium, will be spraying the champagne on Saturday afternoon at Ebrington Square, with the Peace Bridge and city skyline providing the dramatic backdrop to the celebrations. All of this adds up to one exciting weekend of motor sport action with a large crowd expected. Highlights from the rally will be broadcast around the world via Channel 4, BT Sport and Motorsport TV network shortly afterwards.